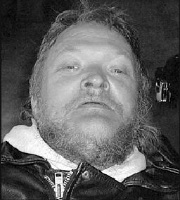 Dan M. Henderson, 56, of Arlington, WA, passed away December 13, 2003 at home. He was born in San Diego, CA in November of 1947 to the Coast Guard family of A.W. Henderson. 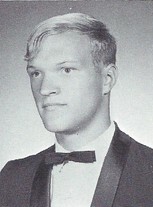 He graduated from Bothell High School in 1966. Dan was a great snow and water skier. He was very involved with Mt. Pilchuck Ski Patrol, receiving honors from them, went on to become a National Ski Patrol hang glider instructor and Certified EMT. In a freak accident in June 1978 in Lake Stevens, Dan broke his neck. Being confined to a wheelchair as a quadriplegic for the past 25 years was a challenge he accepted, but refused to be limited by. He went on to race power chairs, sled skiing with Skiforall, camping, and sandrailing in the Oregon Dunes. His latest adventure, on August 1, 2003, was his first Harley ride - in the sidecar. Dan was a very unique person. Once you met him, your life had to be touched as he had a special love for life and helping others. Dan will be missed a lot by his wife and caretaker of 27 years, Sherry Fuller Henderson; his daughter Brandi Henderson; his granddaughter Michelle Verberg; brother Robert J. Henderson; and too many true and dear friends to list. There will be no service. Any contributions in his name can be made to the University of Washington Rehab, 8 North. Dan and I went back many years, we were 2nd grade locker partners. We spent many years as good friends, riding motorcycles togather taking trips to the east side the mountains. Dan came to my 30th birthday party, broke his neck the next weekend. He had a daughter Brandy, and wanted to see her grow up. He did get to see her do that prior to passing. I think of you a lot my good friend. All the good times we had Skiing, motorcycle riding, and course I the dunes.